Monday – Even though it’s been almost one year since I did this workout, I distinctly remember it for it’s intensity and simplicity. Choose a version that you can link or hit QUICK singles on the ground to overhead. In all reality, this should be a clean & jerk, unless you want to practice snatches in a metcon. While the Rx’d & ADV. are repeats, BEEF version is new this time. Don’t forget to use those 8 minutes before the workout to work on any skills you are trying to master. Not sure what the best drill you should be doing? Let the coach know and we’ll be happy to give you some guidance! double unders, rope climb, toes to bar, muscle up, pistols, etc. Tuesday – given the other movements in part B. as well as movements from other days, the intended version of part A. is the Run, however, as always, if anyone has issues with running, or you want to get up on the leaderboard for 2K row, the alternatives are there for you. Yep, I just added a 2K row for both masters 50+ and Open division folks to the leader board! Wednesday – the alternative version 1RM isn’t just for “record breakers” or BEEF folks. Anyone that is comfortable with the technique can go for the 1 rep max. For part B., we just received another sled last week, so there shouldn’t be too much of an issue getting your sled pushes in with 90 seconds or less of rest between reps. However, with 5 lanes of sled push traffic out there watch out for your fellow exercisers! If you haven’t done this one before, pick a light weight, the intended effect can best be achieved with a weight light enough to keep a fast run pace, down and back! 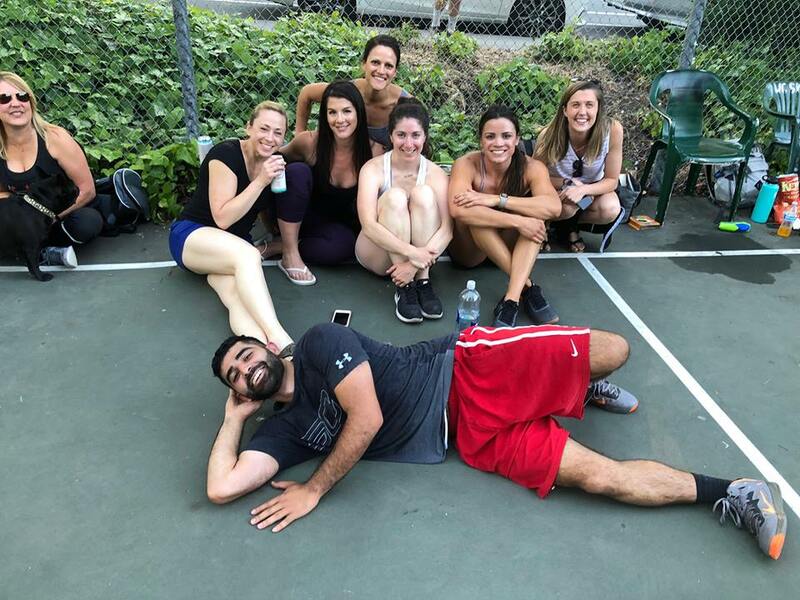 Thursday – It’s been a while since we’ve done the classic CrossFit workout “Helen”. 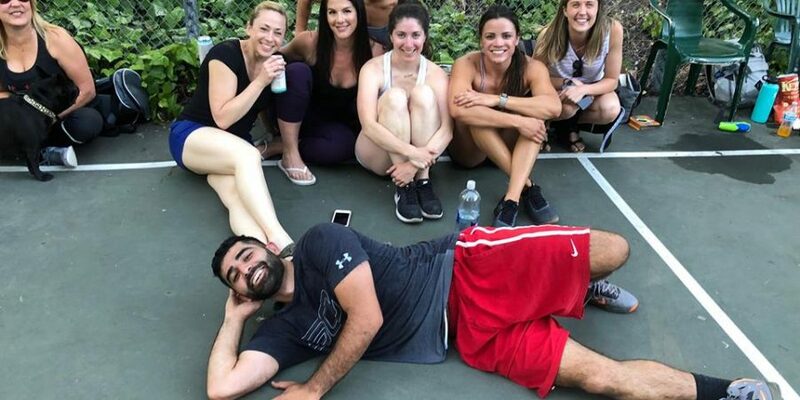 While it’s a short workout, we are doing it first so that you can really go all out… whether it’s you’re first time doing the workout, a re-test, or you are going for a spot on the leader board, it’s always good to be totally fresh. Wondering what’s all this leader board talk about? Check out this post. For those that have done the workout “Helen” many times already there’s an alternative option with Bar Muscle Ups and heavier KB Swings. Keep in mind though this should still be a FAST workout! Check out this video that addresses the grip on the bar muscle up. 15 Back Squats approx. 70-75% heaviest from part B.
Friday – Thank to DJ, I’ve been doing a lot of bottoms up KB press in my own warm-ups and I believe they (along with several other things) have been VERY helpful in improving my shoulder stability and reducing my aches and pains post workout. I’ve ordered some more light kettlebells which should be at the gym in time for Friday’s workout. When doing bottom’s up KB presses, you’ll get FAR more benefit from them if you go SLOW… and hey, while you’re at it, hold the top position for a second, after all, they are meant to help improve your stability. Also, don’t forget to pull your rib cage down, draw your belly in, and of course, squeeze those glutes! Saturday – Both partners will do each 200m Run. Rx’d will split wall balls and hanging knee raises/situps however they like. ADV. and BEEF will do alternating wall Balls (this is done by standing next to your partner and throwing the ball up at the wall with a slight angle so that it comes down to your partner and he/she repeats this back to you.) This isn’t done just to try and be creative/fancy, rather, to reduce extended periods of down time while your partner works. If you don’t feel comfortable doing this, stick to regular wall balls! Sunday – I’ve said it before, but I defintely recommend a lighter damper, 5 or less, and a slower than normal stroke rate for a 2K row. 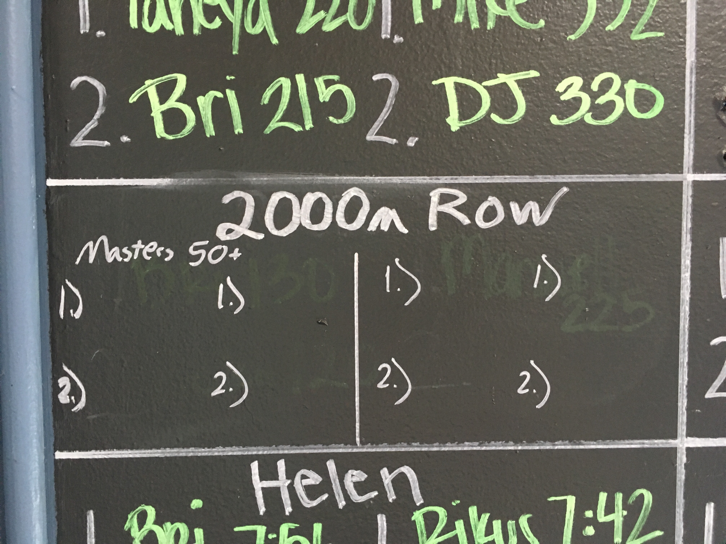 Trust me, rowing doesn’t have to feel like complete garbage, even if you’re short 😉 Use this 2K row as an opportunity to work on your technique, initiating each stroke with your legs, then extending your hips, and lastly pulling with your arms. If you have no idea what your pace should be start out nice and easy (slower than you think), then if things still feel great after 800 meters start gradually picking up the pace. If you are serious about improving your rowing, take note of your damper setting, the pace your start out at, the pace you finish at, and of course your overall average pace. Record these numbers! Once you have these numbers, get with me and I can give you my advice for your next attempt.